Whether you want to fine-tune operational control or conduct A/B testing, feature flags make it easy to deliver software features quickly and safely. 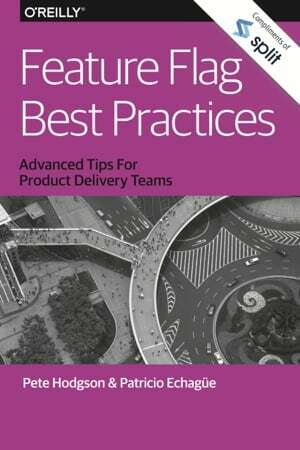 With this practical book, developers will learn eight best practices for using feature flags in production, including how to configure and manage a growing set of feature flags within your product, maintain them over time, manage infrastructure migrations, and more. Pete Hodgson and Patricio Echagüe from Split demonstrate how feature flags help modern product delivery teams reduce risk by decoupling code deployment from feature release. You’ll learn how to maintain flag consistency in different scenarios and how to develop, test, and work with feature flags at scale.